During the summer after my first year in my current district, I was told that I would be going to a 4-day training about math. As you can probably imagine, I wasn't particularly thrilled about it, but it was mandatory, and they were feeding us breakfast and lunch, so I woke up to an alarm for 4 days in July and went. And it was one of the best mandatory trainings I have attended as an educator. It's where I learned about COUNTING COLLECTIONS. 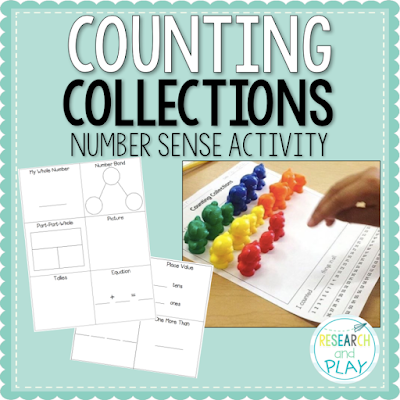 The main aspect of a counting collection is, well, counting! It is a structured activity that allows children to count a given set of objects, document that set, and tell how many is counted. So many skills are covered in a 20-minute period of counting collections. I want to detail some of these skills below and hopefully sway you to try using counting collections in your classroom! How a student organizes a collection might be what you notice first. Some students organize by color, size, or shape, while others may organize by grouping into rows or piles, and some students may not organize at all! You will be able to see if your students have the concept of sorting or grouping by watching how they organize. And they may not organize the same way for every collection! Take note of their organization and suggest new ways. 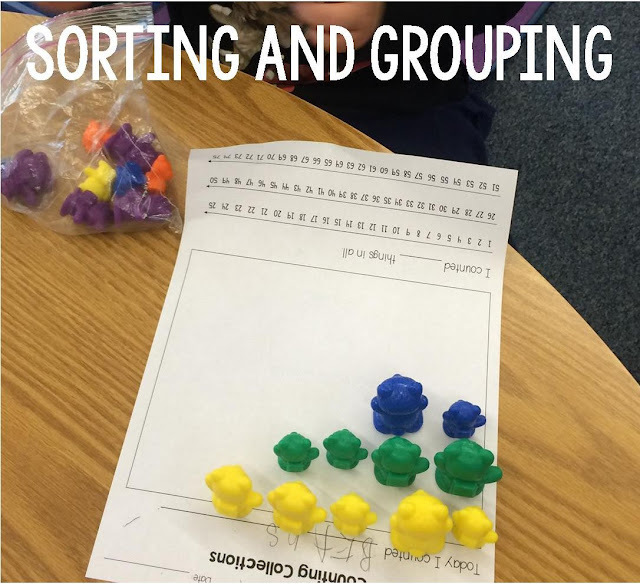 Students should be able to sort or group objects in a variety of ways, and this will aide in their counting. One of the most important skills for young children to develop is counting objects using one-to-one correspondence. This allows children to assign a number to each object counted, many times by touching or moving the object when counting. In a counting collection, children count objects in many ways. Often, they take out the objects one-by-one and count them as they do. Sometimes, they pour out their collections and then move the objects as they count. Always, they are asked to represent their collections by drawing. This will allow them to count again, then write a symbol/picture for each object. 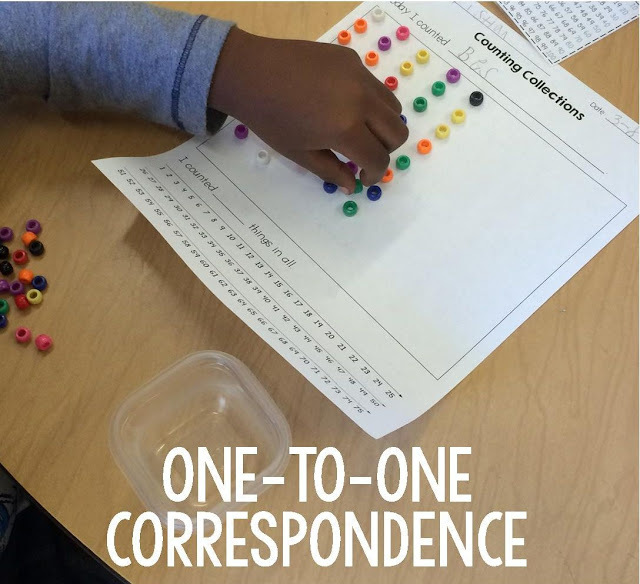 By counting using one-to-one correspondence, students learn that each object stands for a different number that will lead to a total amount. This is a very important skill that strengthens number sense. Have you ever noticed your students count a set of objects, then when you ask them to tell you how many they count their set over again? That means they are still working on developing their use of cardinality! 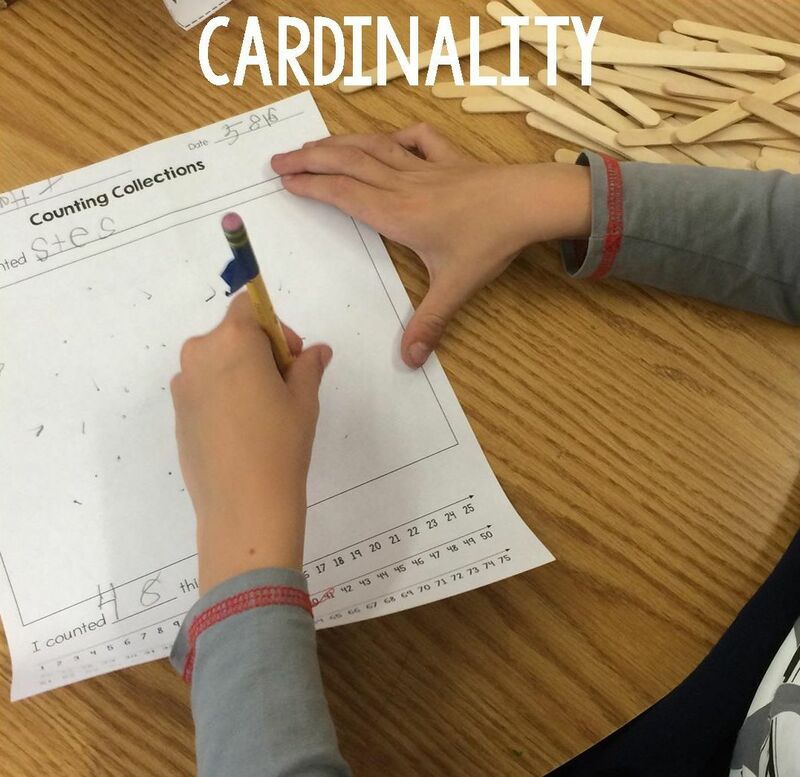 Cardinality means that students are able to tell you how many they have in all by recognizing that the last number counted represents the total. When counting a collection, children must be able to identify the total amount in their collection. They write this number, and then recount when representing, essentially checking their counting! A major skill for children as they develop their counting skills is being able to quickly identify the total of their set. While I could continue gushing over counting collections, I will close by saying that doing counting collections 4 out of 5 days a week has DRASTICALLY changed how my students count. They are using strategies that I didn't realize they even knew. 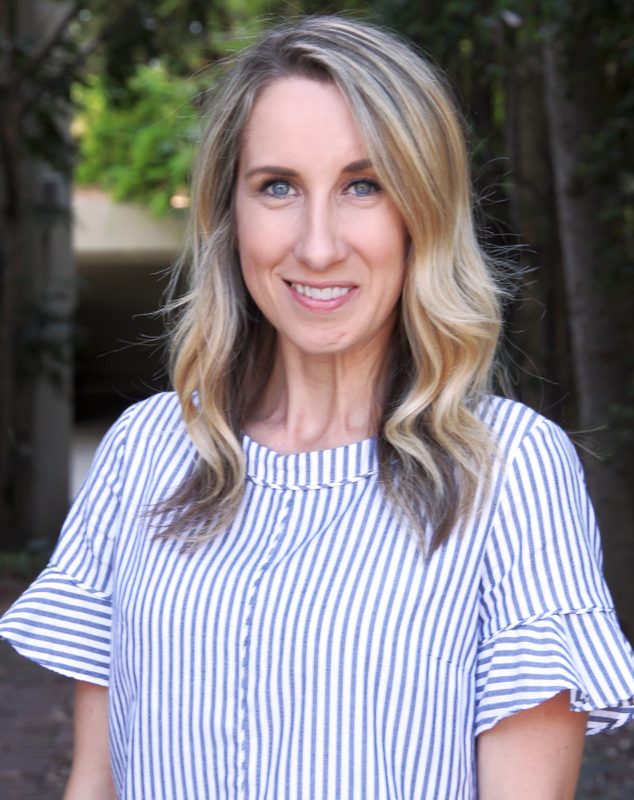 I'm able to see and document so many things that I wouldn't have been able to during a typical "get out your workbooks" lesson that I was accustomed to teaching. There is something so dynamic and informative about watching students count, and I want you to try it! Click here for the counting collection recording sheet, or click on the picture below for the full set of counting collection documents! How many items are in each container? Do they always "draw" something to represent their items? The total items do not exceed 20 for about the first half of the school year. Then I up it in some collections after winter break to allow for more challenge. They always draw something on their recording sheet, but it could be a picture, number bond, tallies, or lots of other representations! 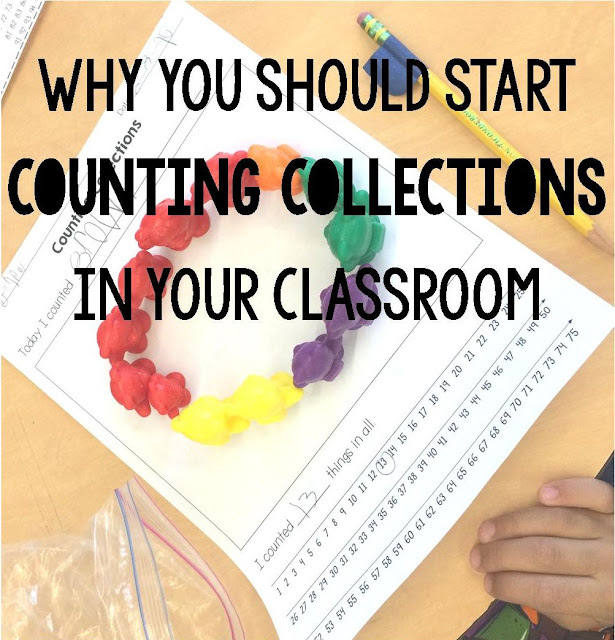 I am very intrigued by counting collections and have a few questions for you. How many collections do you have available for the students to choose from and how often do you change them? Also, do you keep this center the same for the entire school year? I just found your blog today and I haven't been able to stop reading your posts! Thanks in advance for your help! Great post. I hoped to download the recording sheet, but the link no longer works. Thanks!